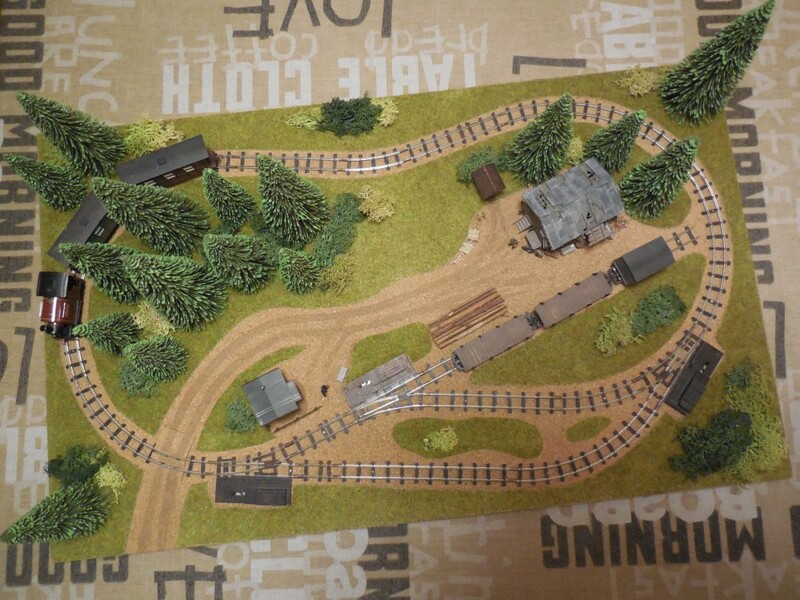 after my small break here, to exhibit my trolley layout, I’m back on my logging railway projects. 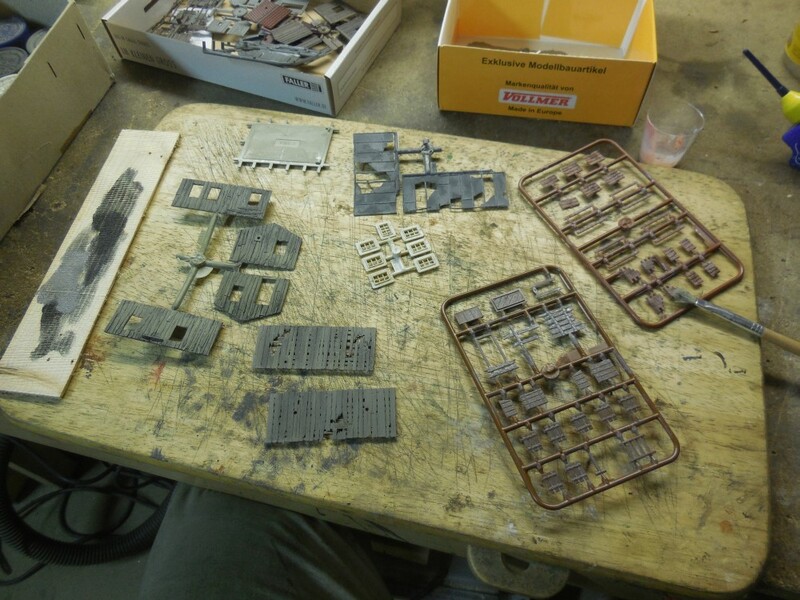 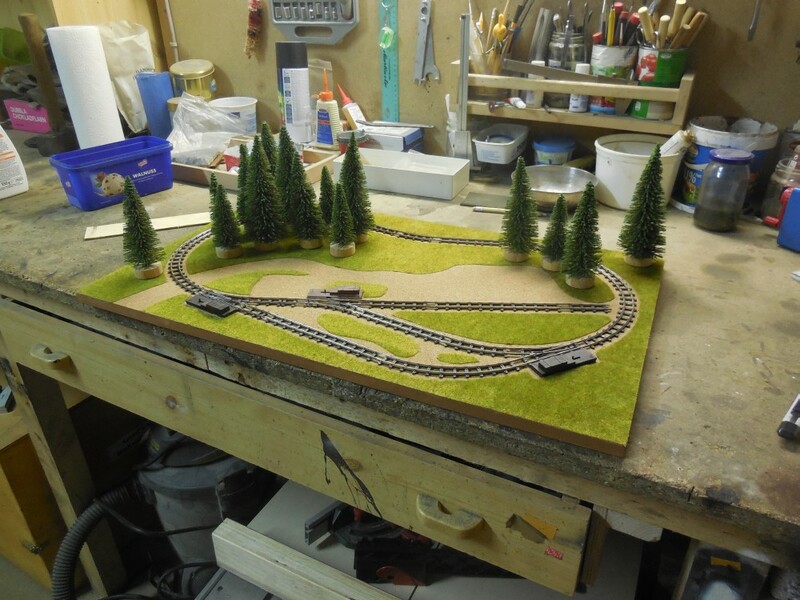 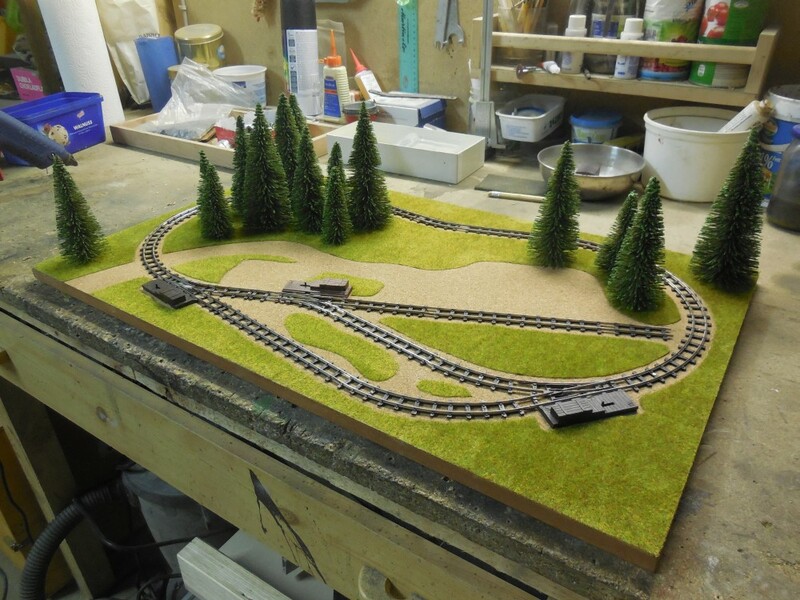 First, I cleaned up the workshop, but I didn’t feel in the mood to continue directly with my large-scale trains. 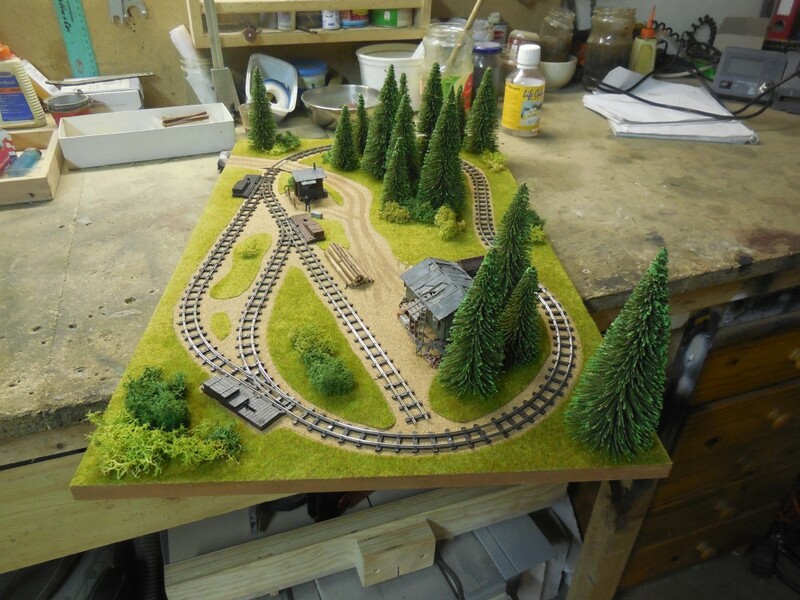 So I finished another long time project, which was on my wish list for many month. 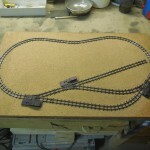 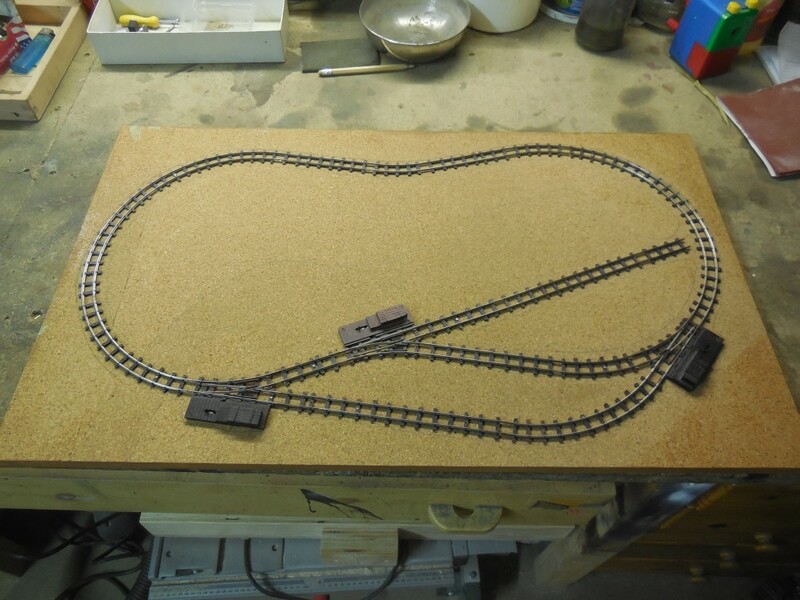 Since I got my tiny 009 live steam loco, I was thinking about a small micro layout, to operate the loco. 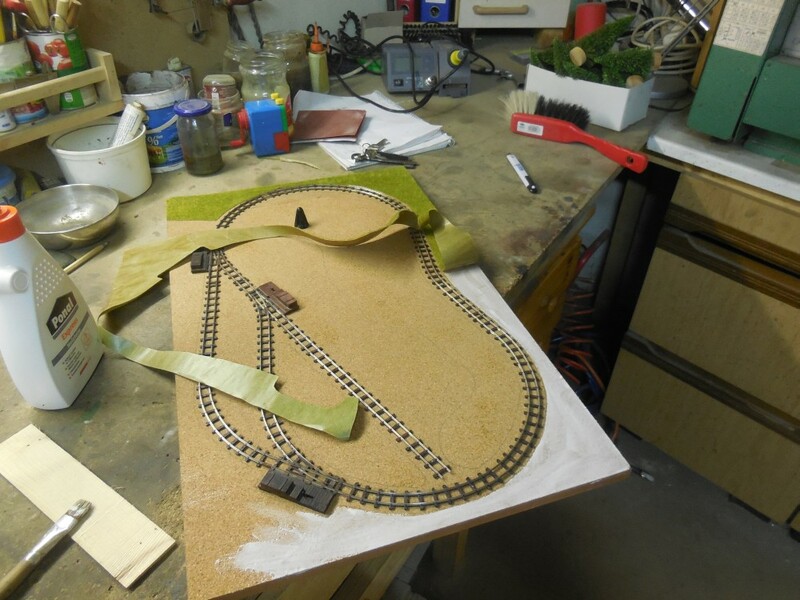 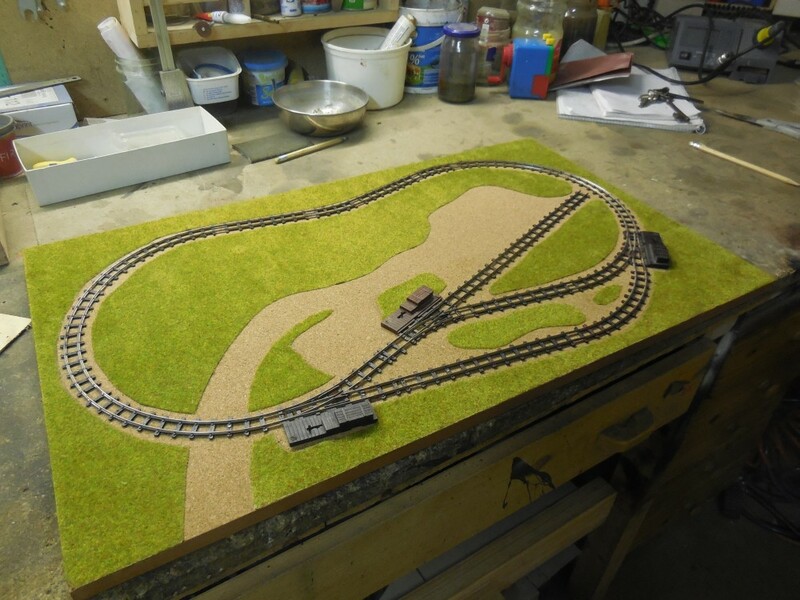 I had this MDF board with some old Egger tracks for a long time and some month ago, I spend some grass mat, which actually coming off again due to bad adhesives. 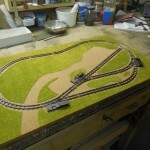 Well, it was time to spend some more attention and get this tiny layout into something reasonable. 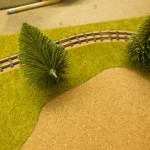 So I took of the grass mat pieces and re-glued them with white glue. 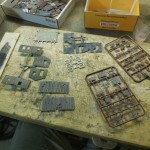 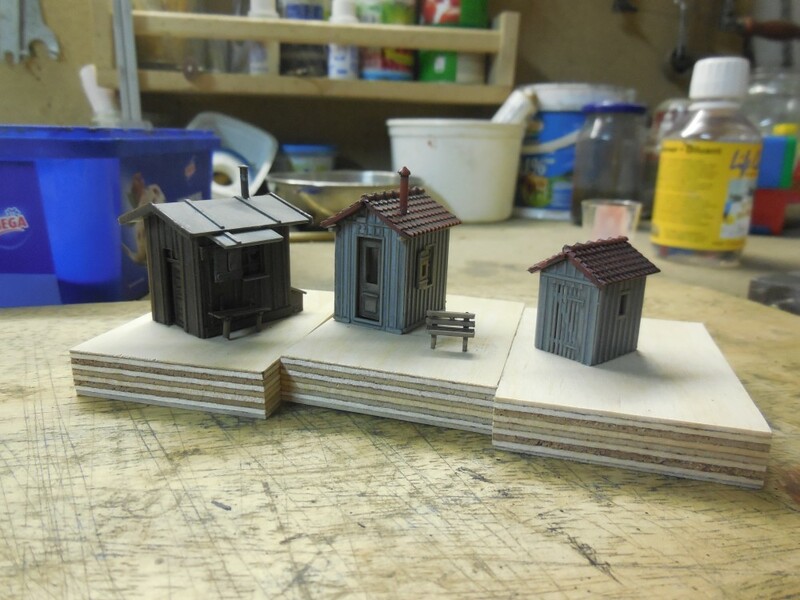 I reshaped some pieces to match ma actual thoughts of the finished layout. 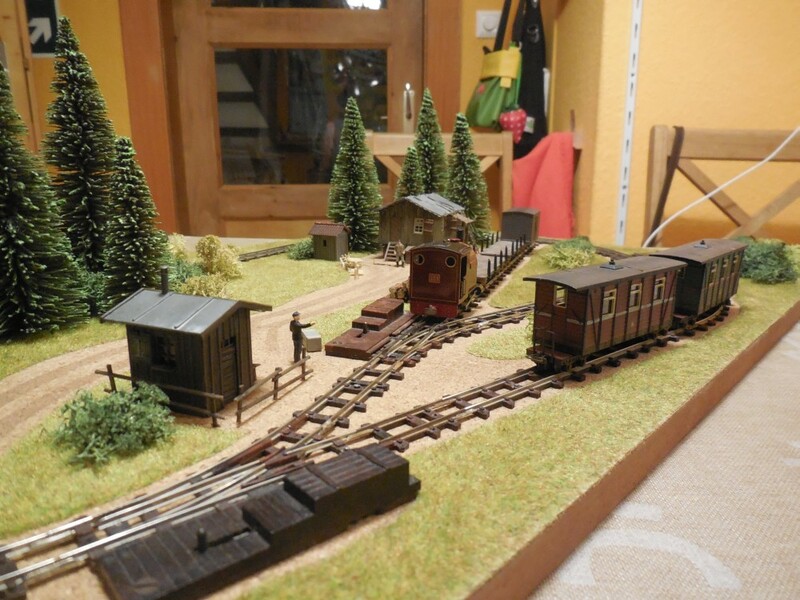 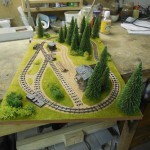 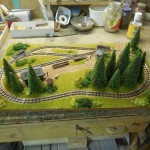 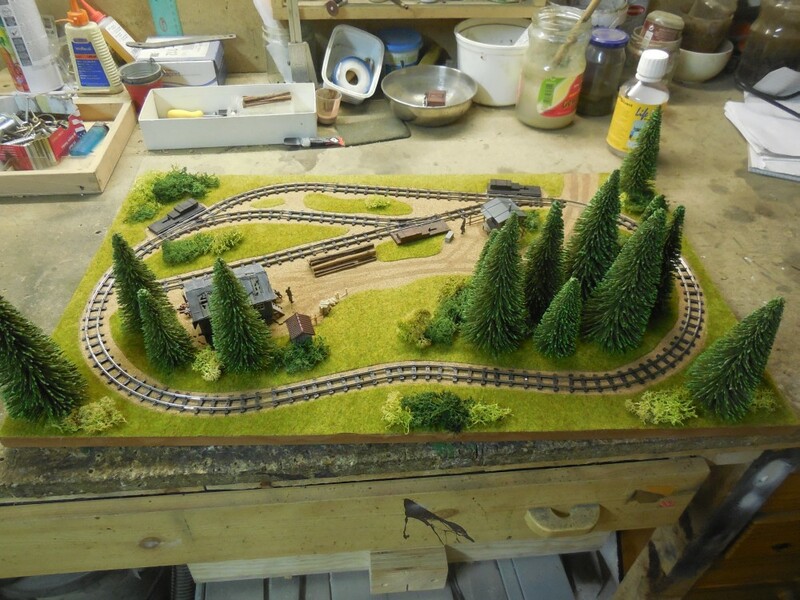 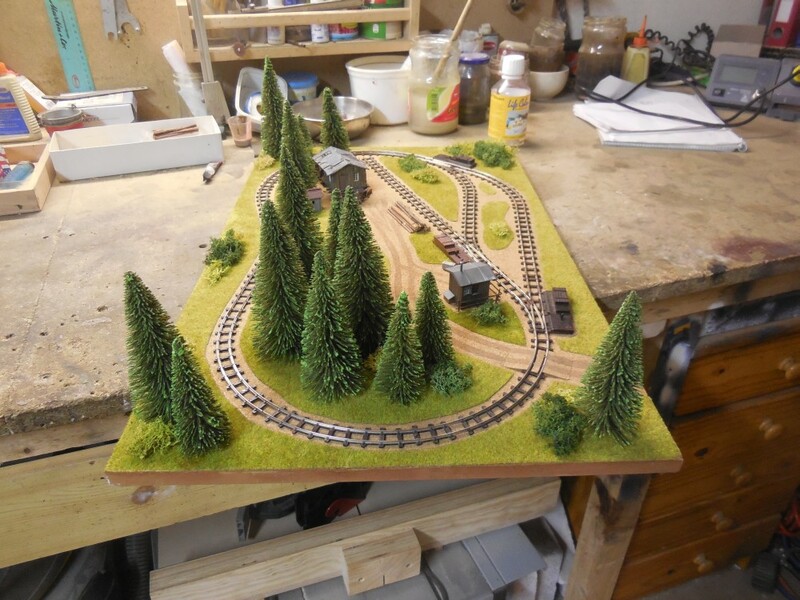 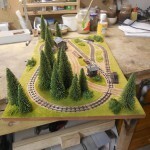 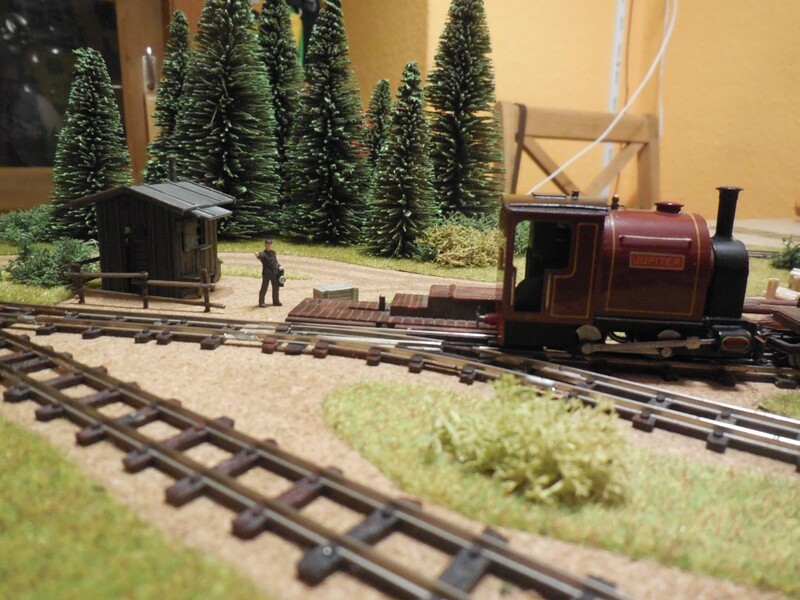 The trees came from my Billerbahn equipment. 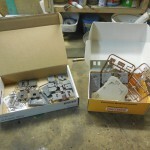 I don’t use them any more, so I removed the wood base and glued them into pre-drilled holes with hot-glue. 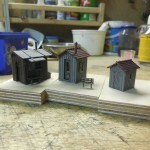 I gave them a slight weathering and build them up without their base plates. 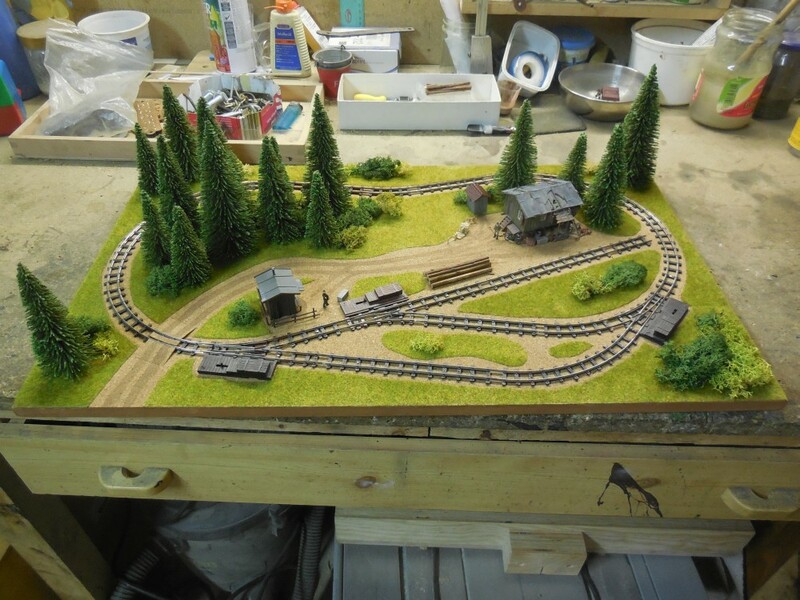 This way, they look much better. 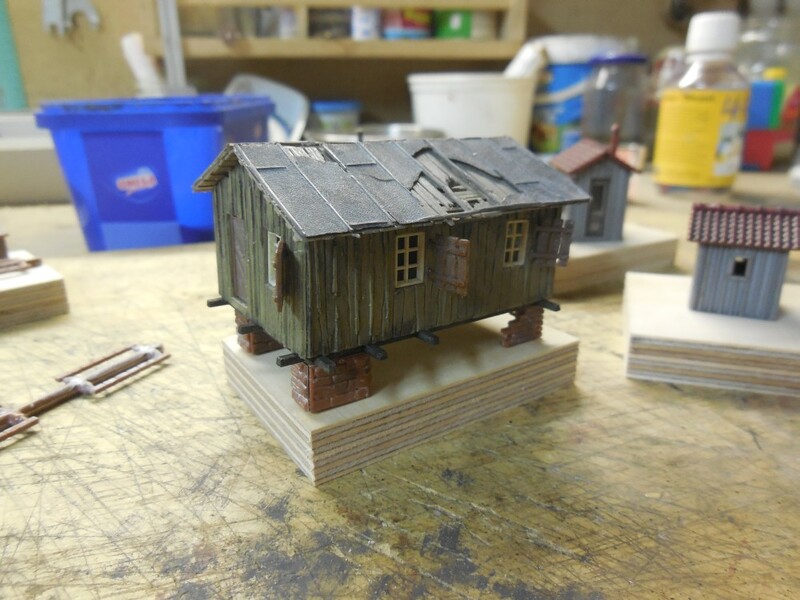 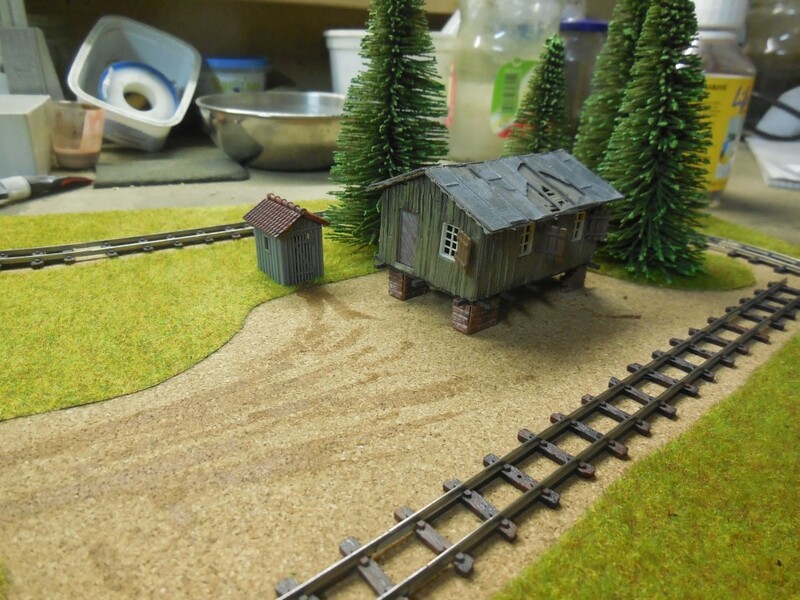 I painted some traces to the “dirt-road” and started to add clutter around the structures to get the scene detailed. 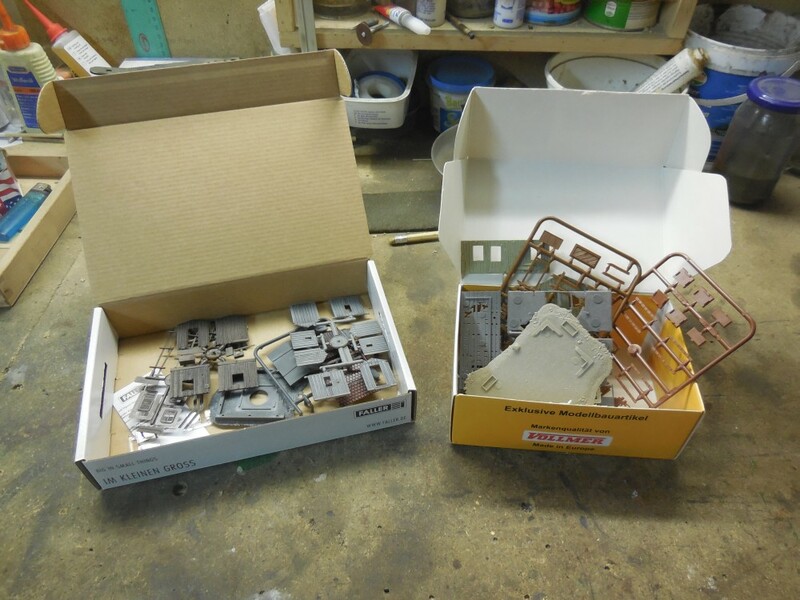 Some parts are from the actual kits, others where from my big scrap bin. 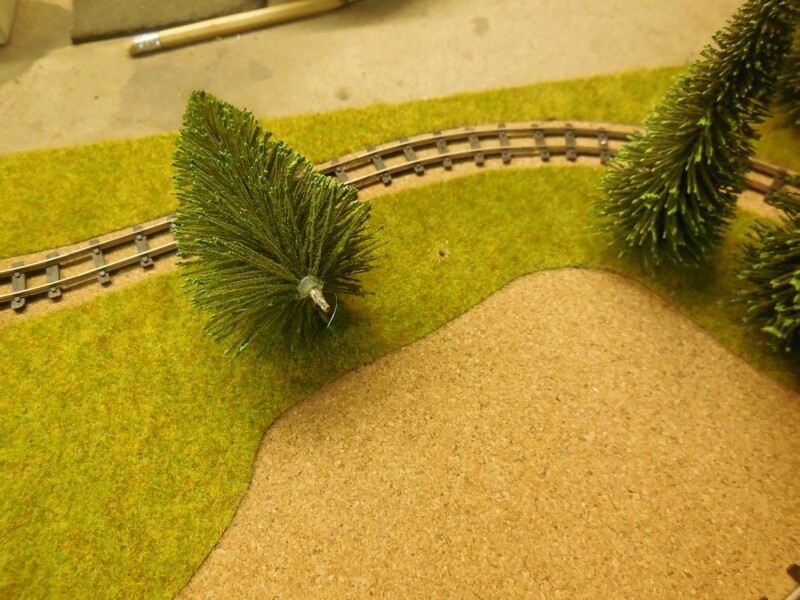 At least I added some bushes from Iceland moss and two figures. 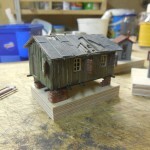 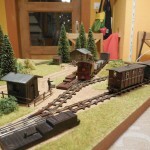 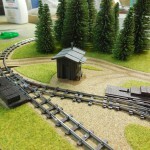 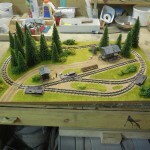 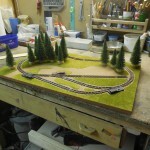 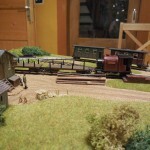 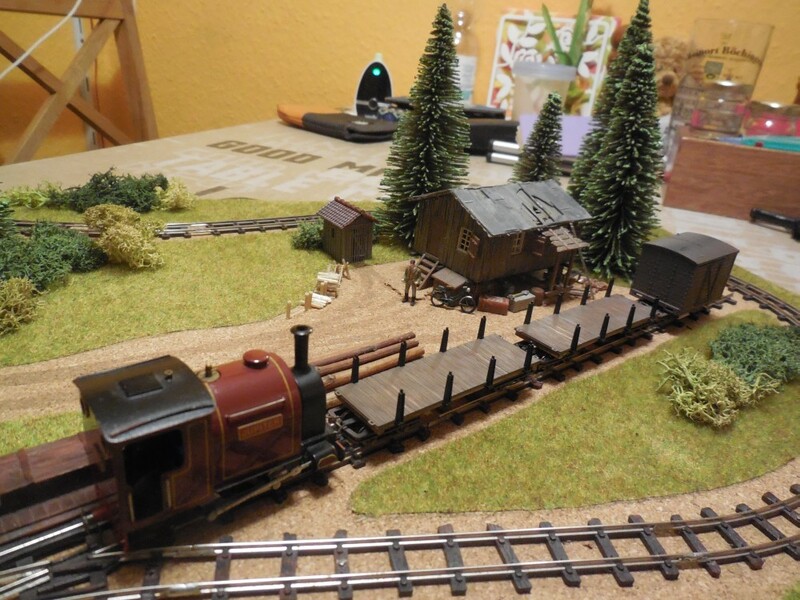 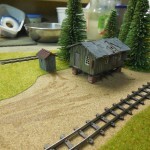 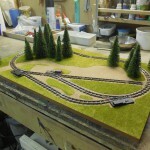 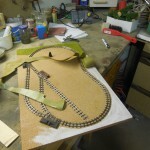 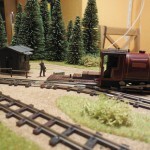 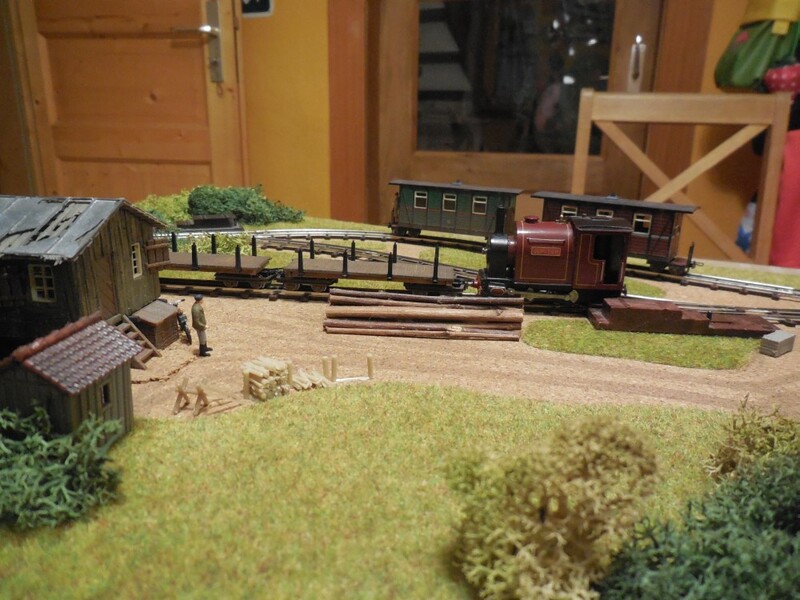 In the last second, I decided to add a pile of logs at the loading spur, which finished the layout. 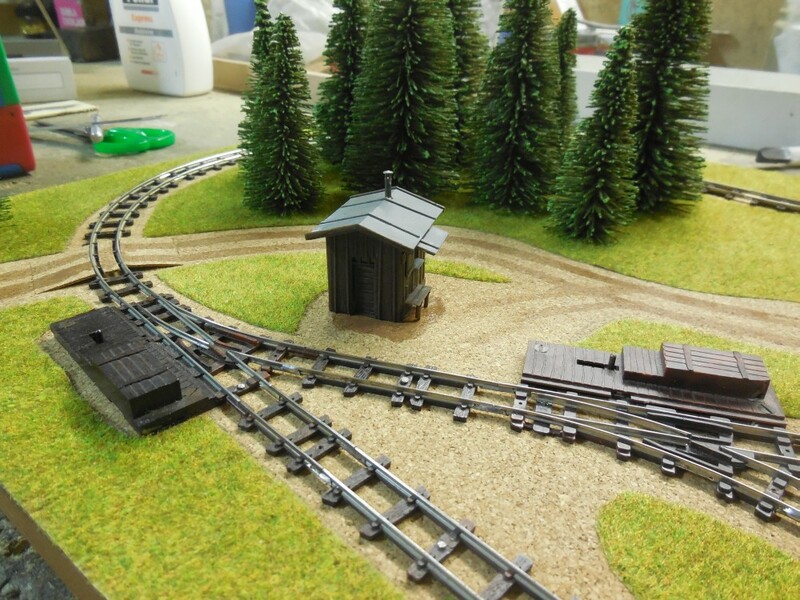 I’m very happy with the result and look of my micro layout. 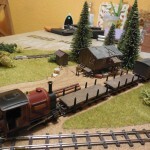 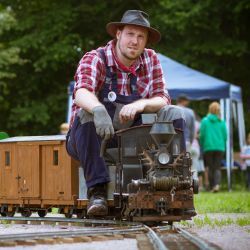 And of course, I couldn’t resist to run some trains once I was finished. 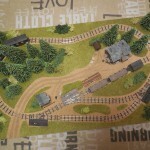 I steamed up the loco two times and enjoyed her running through the new layout.